This is a post by Free Homeschool Deals contributor, Cassie Osborn at 3 Dinosaurs. This month’s printable is a fun counting books for Christmas! We just love Christmas Trees at our house. This is a fun book that kids can put together and work on counting up to 10! These work really well with the Christmas Learning Pack on my site. 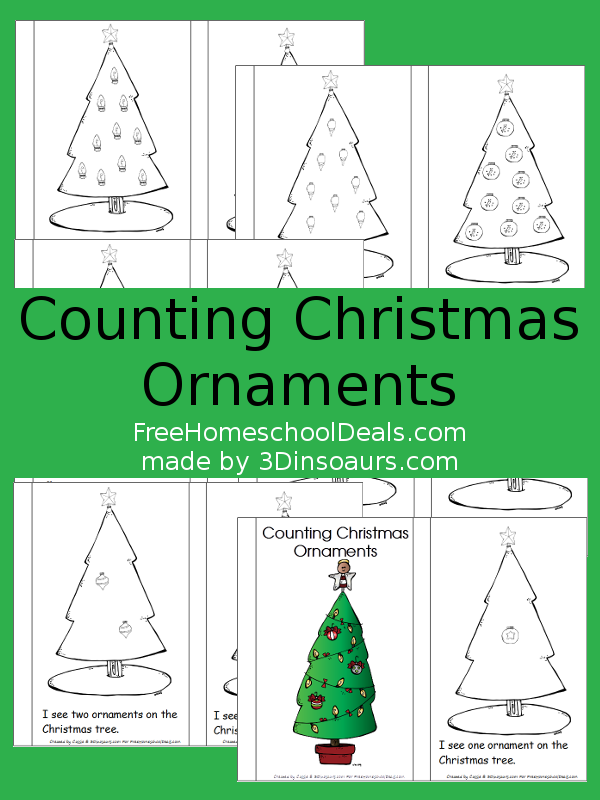 Grab your FREE Christmas Counting Ornaments Pack HERE!